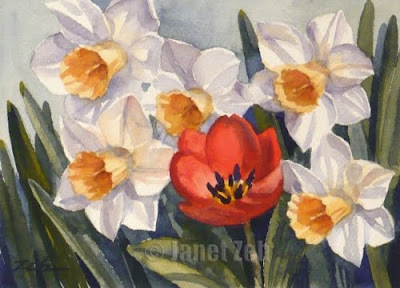 A garden of spring flowers blooms in this painting. I am pleased with the richness of color and the effect of sunlight on the flowers. My three-color palette seems made for this piece.